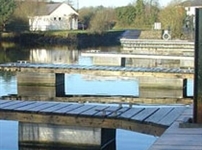 Doran Consulting has been at the forefront of local marine and river engineering since its establishment in 1953. 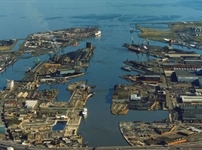 We have longstanding relationships with both the Belfast Harbour Commissioners and the Northern Ireland Fishery Harbour Authority, and have provided a full range of services in relation to a wide variety of commission types ranging from feasibility studies through to detailed design, contract administration and site supervision. We have provided civil and structural engineering design services in many landmark developments in Belfast Harbour, from new commercial installations such as the Wind Turbine Assembly Facility at D1, to the restoration of historic features such as the Hamilton Dry Dock. 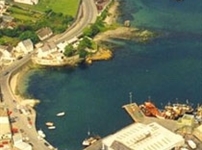 We have over 30 years of advising in relation to Northern Ireland’s three key fishing harbours, and in addition to our local expertise, we also have national and international experience, having carried out work for numerous clients throughout the Republic of Ireland, Scotland, England and on several overseas locations. Our experienced marine and river engineers have the capability to build computerised models using industry standard software packages for both river and coastal systems, and to develop bespoke river modelling software where required. We advise on new harbour developments, capacity and assessment of existing marine structures, underwater inspections and a wide range of marine infrastructure. In terms of river works, the firm advises on a wide range of flood defence projects, storm drainage systems and flooding issues associated with housing and industrial development.